Are you having an old model car and unable to find a new auto part for it? If yes, let our technicians at Max Auto Parts assist you. At our facility, we have access to all makes and models of car and truck parts in Brampton. From starters to compressors and radiators, we are equipped with all automotive accessories. With years of experience in the industry, we have managed to become one of the reputed auto parts suppliers of cars and trucks. 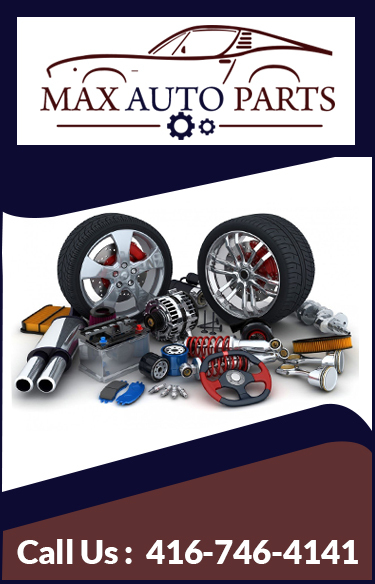 Max Auto Parts have a huge stock of old and new car parts that comply with or exceed the standards. We strive to achieve just one goal i.e. providing the superior product with a conditional warranty. We also offer used cars for sale in Brampton at an affordable price.